The FBI has accused Ukrainian tycoon of high-profile corruption. 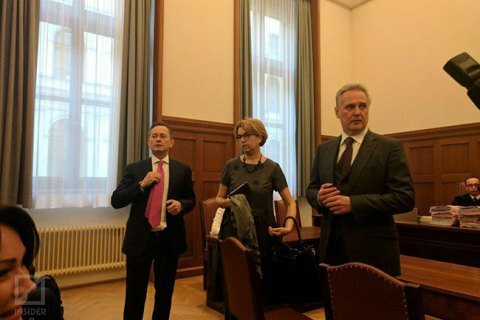 On Tuesday, the Vienna Higher Regional Court began consideration of the US appeal against the decision of an Austrian court to refuse the extradition of Ukrainian businessman Dmytro Firtash, the Insider reported on 21 February. After the court announces the essence of ruling of the first instance, the prosecutor's office, which supports the US appeal, will argue on behalf of the plaintiff. Firtash's lawyers and the defendant will speak the last. The trial is attended by the ex-COB of Rodovid Bank Denys Horbunenko, the head of Firtash's Group DF Borys Krasnyanskyy, the chief of the Inter TV channel Hanna Bezludna, and the defendant's wife Lada. Dmytro Firtash, 50 was arrested in March 2014 by Austrian authorities in Vienna on a provisional arrest request based on charges filed in the Northern District of Illinois, USA. The FBI say Firtash paid $18.5 million in bribes to Indian officials to ease expansion of his titanium businesses, and some of the illicit cash flowed through US banks. The businessman went out after having paid a record for Austria bail at 125 million euros, and was released under an obligation not to leave Vienna. The case was considered only a year later. On April 30, 2015, a court refused to extradite businessman to the States citing political motivation behind the US request.